ADELBODEN, Switzerland (AP) — Continuing his career-best run of form, Marco Schwarz was fastest in the first leg of a World Cup slalom Sunday. The 23-year-old Austrian led the usual front runners Henrik Kristoffersen and Marcel Hirscher by 0.34 seconds and 0.39, respectively. 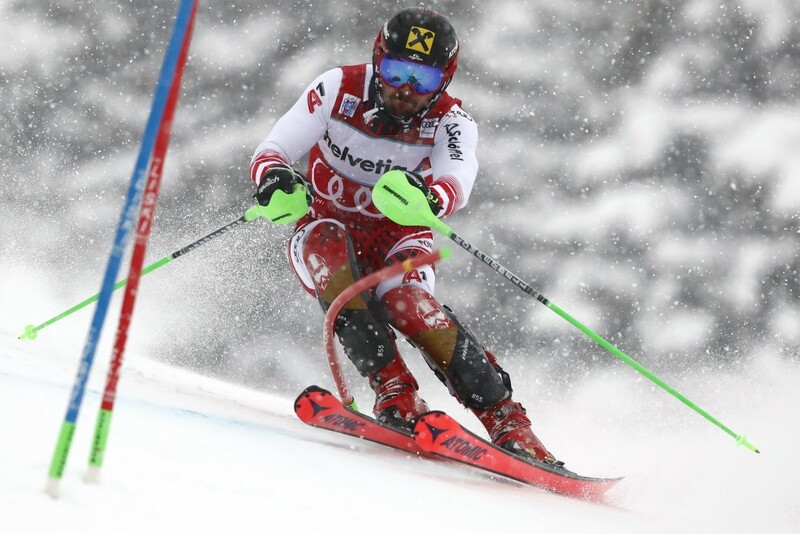 Hirscher, who leads the overall and slalom standings, and Kristoffersen have combined to win the Adelboden slalom in six of the past seven years. Schwarz won the New Year's Day parallel slalom event in Oslo, was runner-up last month at Madonna Di Campiglio, Italy, and led the first run last weekend at Zagreb. Olympic champion Andre Myhrer was among several top racers failing to finish in poor visibility due to falling snow. Manuel Feller wasted a fast start by sliding off course, then snapped a ski pole over his right thigh.